The Patriots and Jaguars meet on Sunday afternoon for the AFC Championship Game and the right to move on to the Super Bowl in Minneapolis. The teams don’t play each other very much, and going back a couple of seasons to look at games played against one another is difficult since roster and coaching turnover is so great. You can get a much better idea at what they are about by going back to the joint practices this summer. The two teams conducted a few days of very good, spirited practices (and just to reiterate, it is practice and not a game) but we got to watch plenty of one-on-one matchups as well as full team drills and situational football, (something Jacksonville’s last opponent doesn’t seem to practice). 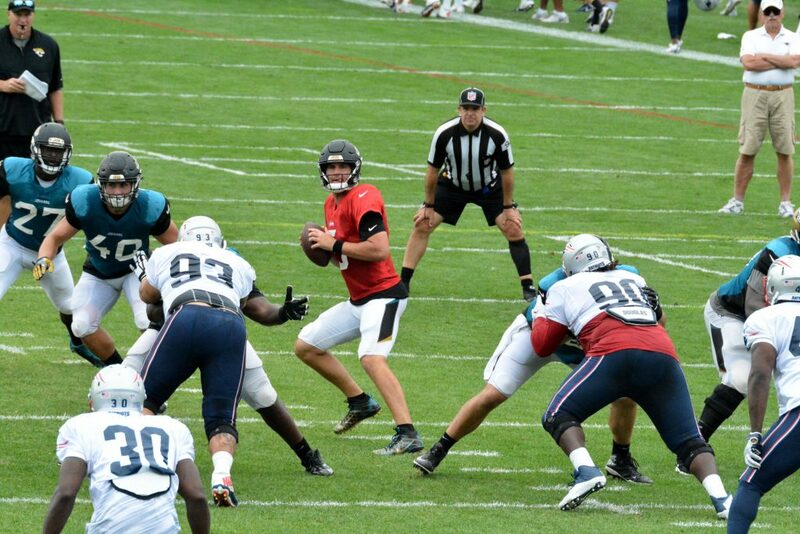 The first two days were the true joint practices, the third day was just a walk-thru before their preseason game. The Jacksonville Defensive Line is Big, Strong and Physical: One of the more intriguing things about their defense is their size. They are very big and strong and during the goal line work, they were very tough to get a push for the running game on. The Patriots were stuffed on several occasions. They are very good at getting pressure with just their front four. Because of that they can drop seven into coverage and provide tighter windows to throw in. And unlike Tennessee, the Jaguars will rotate defensive linemen in, using seven players, they are deep and their backups are very good. The outside linebackers, Miles Jack and Telvin Smith are fast and will contest the short areas of the passing game very well. The guy that holds it together is Paul Posluszny, the big middle linebacker who is a thumper inside. It is amazing that Posluszny, who is in his 11th season, finally gets a chance to play for a winner. One area that the Patriots can combat this is to go quick. If they go to the hurry up offense, the Jaguars big men inside could get worn down. Play action passing on first down and in a perfect world, running 65-75 offensive snaps will be something they’ll look to do. The Corners are Big and Physical: Jacksonville has two excellent corners in Jalen Ramsey and A.J. Bouye. 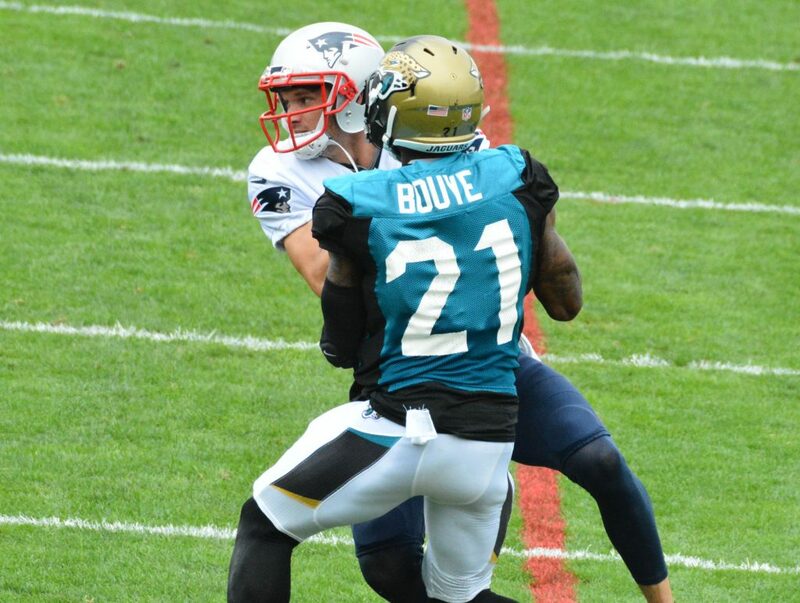 Many Patriots fans will remember Bouye from the Divisional Playoff game last season when he played for the Texans. Both have good size, speed, and physicality. They’re very good at jamming at the line of scrimmage and disrupting the timing, something the Patriots offense is built on. During the joint workouts, there were some great battles going on where the Jags corners won plenty of one-on-one battles. The smaller Patriots wide receivers have struggled getting separation against tough, physical corners. 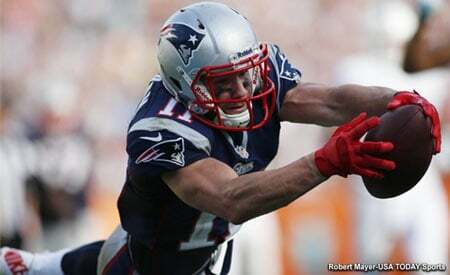 Unfortunately for New England, the one guy no one could cover was Julian Edelman. No matter who they trotted out there, Edelman’s quickness off the line was nearly impossible to stop and he was seemingly open on every play. But he’s lost for the season on IR, so will they attempt to use Danny Amendola and/or James White, in the same way, this week? But Jacksonville will attempt to flood the underneath zones and force Tom Brady into going to a deeper vertical passing game. The Steelers made them pay for those, but rewatching the tape, several of those catches were the type of highlight reel stuff and all were against extremely tight coverage. 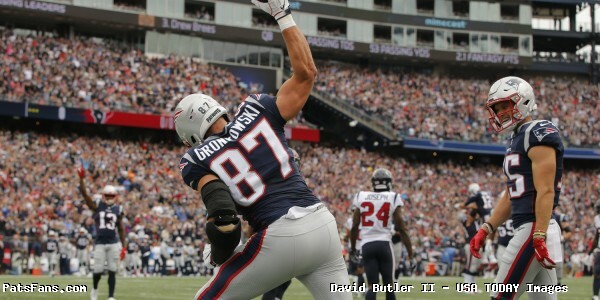 The key from a New England perspective may be against the safeties using Rob Gronkowski. Both of the safeties (Tashaun Gipson and Barry Church) are banged up a bit this week, so we’ll see how that plays out. Leonard Fournette is A Load in the Running Game: The Jaguars are built in the Tom Coughlin mode and coach Doug Marrone relies heavily on the running game, to wear down the opposition, control the clock and open up play action passing. Fournette was the highly touted prospect from LSU and the joint practices were our first look at him. He didn’t disappoint. He’s big, physical with good speed and very good vision. He was impressive down on the goal line and at breaking tackles at the line of scrimmage. He will be the primary focus for the Patriots defense this week. Don’t go to sleep on T.J. Yeldon. He’s a good runner in his own right and a very good pass receiver out of the backfield. 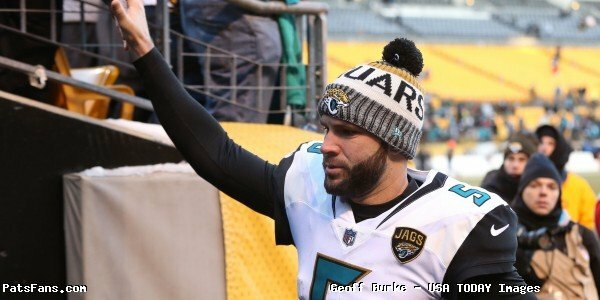 Bortles is the Wildcard This Week: It is hard to judge Bortles on what we saw during those practices because he struggled badly at the beginning of training camp and was particularly awful during the two days of practices that we watched. He had been throwing picks in practice and was gun shy about throwing downfield in 11-on-11. Everything was a check-down. One of the Jacksonville beat guys we spoke with told us, that Tony Khan was actively trying to pry Jimmy G. away from the Patriots that week. Obviously, Bortles hasn’t played like that all season or the Jaguars wouldn’t be here now. But his consistency is the issue. Which one shows up? The one in control in Pittsburgh or the one leery to throw the ball downfield, like he did against Buffalo. Play action on first down will be key for his success this week. If he gets in third and long, it will be a long afternoon for the Jaguars offense. One guy to watch is Marquise Lee. He had some great battles with Malcolm Butler and had his way with the Pats CB on many snaps during both days of workouts. Will the Pats use him or Stephon Gilmore against Lee? We’ll see. 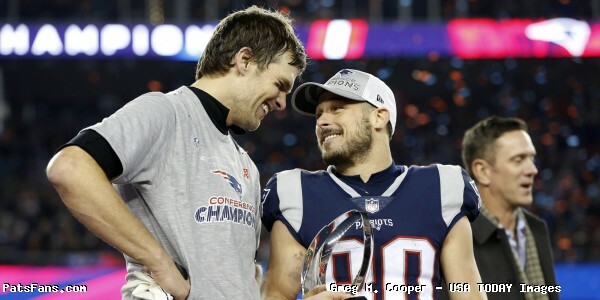 This entry was posted in 2017 Patriots Postseason, NFL Commentary, NFL News, Patriots Commentary, Patriots News and tagged 2017 Patriots Season, A.J. Bouye, Bill Belichick, Blake Bortles, Chris Hogan, Danny Amendola, Dion Lewis, Jacksonville Jaguars, Jalen Ramsey, James White, Julian Edelman, Leonard Fournette, Malcolm Butler, NFL, Rob Gronkowski, Telvin Smith, Tom Brady on January 17, 2018 by Steve Balestrieri. The much anticipated AFC Championship Game will not be a rematch between the Patriots and Steelers as the Jacksonville Jaguars for the second time this season went into Pittsburgh and beat the Steelers 45-42 in the Divisional Round of the NFL Playoffs. New England had already advanced on Saturday night by thrashing the Tennessee Titans 35-14 and will now face the Jaguars who won a close defensive struggle 10-3 over Buffalo and now a shootout against the over-confident Steelers. The Jaguars, played the underdog role well all week, listening to several Pittsburgh players including safety Mike Mitchell and running back Le’Veon Bell openly talk about beating New England in a rematch, totally dismissing Jacksonville, which was doubly infuriating for the Jaguars since they blasted the Steelers 30-9 in Pittsburgh earlier this season. Mitchell was even reported to be standing outside the Jacksonville locker room trash-talking the Jaguars before the game. Once again, this failure resides right in the lap of the Pittsburgh coaching staff. While talking up their “upcoming” game with New England, they forgot about Jacksonville and their performance on the field was easy to point at. Jacksonville, behind the power running of Leonard Fournette, play-action passing of Blake Bortles and that tough opportunistic defense raced out to a 21-0 lead early in the second quarter before the Steelers decided it was time to play. Ben Roethlisberger shook off a shaky, poor start to toss five touchdown passes, several of the highlight reel variety on fourth downs to keep the game close, but it was not to be. Jacksonville came to play…this week. The Steelers were too fixated on next week and now go home with nobody to blame but themselves. To discount and overlook a tough team with the #1 defense in the NFL, and one that had routed you earlier in the year in your own building is unconscionable. He’ll have all spring and summer to answer those questions and they are legit ones. That locker room is way too loose. Jacksonville is Ready: But for Doug Marrone’s team, they’re flying high right now. They entered the playoffs as the #3 seed and now part of the final four and they, (and rightfully so) feel like they can beat anybody. The pass defense is the #1 unit in the league and will present a tremendous obstacle for the Patriots. Why? They can create plenty of QB pressure without blitzing just rushing their front four. That means they can drop seven men into coverage and fill up the passing lanes. Their cornerbacks are very good, we saw A.J. Bouye last year with the Texans in the playoffs. Both starting corners are big, (6’0 and 6’1), fast, physical and athletic. 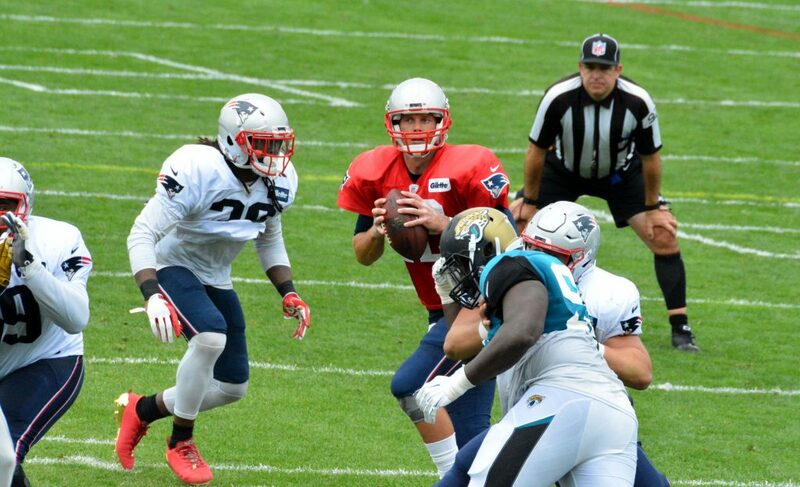 Teams Are Very Familiar With Each Other: This summer during training camp, the Jaguars and Patriots conducted joint practices with each other and there is much that can be learned about each other from those long looks on the Gillette upper fields. You can guarantee that both sets of coaches will be looking at those tapes this week to see if they can catch the slightest nuance from their opponent. It also gives a good look at the role players, the guys that may only come in for a handful of snaps each week to see how the team may use them and get a better feel for their strengths and weaknesses. One player who gave the Jaguars fits (and who’ll be missed this week) was Julian Edelman who was nearly uncoverable in the workouts. For the Jaguars, Marquise Lee had his way with Malcolm Butler on several occasions. And Brandin Cook’s speed was something that the Jacksonville defense definitely struggled with. While Leonard Fournette showed why the Jaguars were so high on him. We’ll have more on these matchups later this week. Coughlin Factor Will be Overblown This Week: Tom Coughlin has his hands all over the Jaguars success this season. He knows how to build a solid football team. And it starts with his defense and then he builds a big physical offense built around the running game that feasts on play action when the defense over commits to stopping the run. This is what he did here in Jacksonville to start the franchise, then brought it to the Giants and now he and Marrone are doing it here in Jacksonville again. They are a very physically tough, well-balanced football team. But less than 8 hours after their defeat of Pittsburgh, social media is already overflowing with the “Coughlin has the blueprint” on how to beat New England mantra, like he owns a secret talisman that is kryptonite against Tom Brady. That is what we’ll hear all week. Coughlin’s teams win by being balanced and tough defensively. As we said above, they’ll present a very difficult challenge for the Patriots to beat this Sunday. And his defense in both Super Bowls slowed down the Patriots passing offense by making them one-dimensional and getting after Brady. In Super Bowl XLII they held New England to 45 yards rushing. In SB XLVI it was 83 but 21 of those belonged to Wes Welker. And remember, for as stout as Coughlin’s defenses played in each, it took incredible deep, passing plays by Eli Manning to pull out each. The velcro catch down the middle in the former and the beautiful dime he threw to Mario Manningham in the latter. It is just great team defense, there isn’t a secret or a blueprint. It is going out and producing. Both of these teams are vastly different from those teams and this will be a great chess match all on its own. We’ll have a deeper look at the Jaguars here soon. Final Four Week is here. All four teams got here the old fashioned way…they earned it. This is what the postseason is all about. 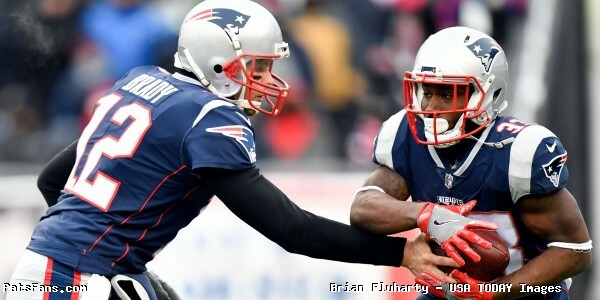 This entry was posted in 2017 Patriots Postseason, NFL Commentary, NFL News, Patriots Commentary, Patriots News and tagged 2017 Patriots Season, A.J. 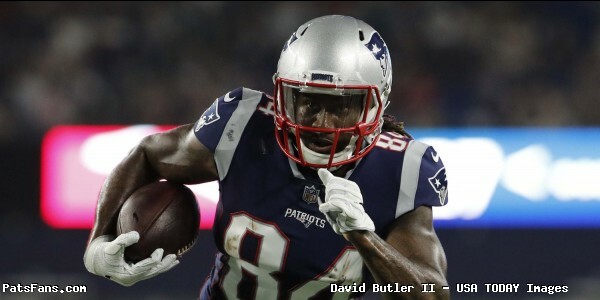 Bouye, Bill Belichick, Blake Bortles, Chris Hogan, Danny Amendola, Dion Lewis, Doug Marrone, Jacksonville Jaguars, Jalen Ramsey, James White, Julian Edelman, Leonard Fournette, Malcolm Butler, Marquise Lee, New England Patriots, NFL, Patriots, Rob Gronkowski, Stephon Gilmore, Tom Brady, Tom Coughlin, Trey Flowers on January 15, 2018 by Steve Balestrieri.